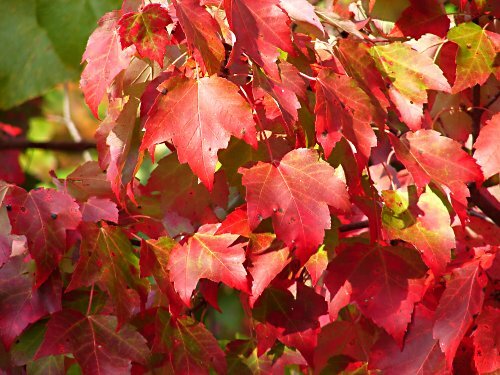 A few very colorful red maple leaves. such beautiful maple leaves. love them.